Published Books by Rafe Champion with varied subjects. Ruth Park has written a richly researched portrait of Sydney, packed with accounts of stirring events and fascinating people, from the time the First Fleet sailed into Sydney Harbour. Ruth produced a guidebook on Sydney in 1973 and I had the immense good fortune to work with her, helping to bring the book up to date after 25 years of frantic demolition and rebuilding of Sydney. 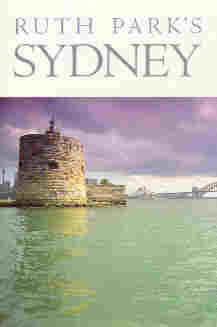 The book is organised into half day and day trips, starting from Circular Quay,"The Open Door", and moving on to visit the early-settled parts of the city. Parts of the history of each area are sketched and compared with the rapidly-changing reality of the moment. Important buildings, roads and bridges, parks and gardens, monuments and landmarks (past and present) are put into the context of the times along with a parade of heroes and villains, men on the make, movers and shakers, builders and dreamers. Published in the year 2000, this book contains a collection of essays and reviews for those who like to hold a good old-fashioned book in their hands. 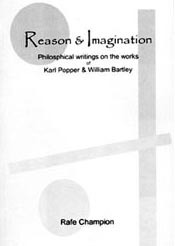 These were written over a period of 30 years to indicate the relevance of Popper's ideas in a range of fields including literary criticism. Some of these were not on the original web site. If interested in obtaining a copy, please send me an email for further details. A review of this book by Jeremy Shearmur can be read by clicking here. This was printed in the CIS journal, Policy. This handbook was originally published by Horwitz in 1982. 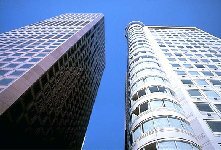 It describes in simple language the rules and regulations governing strata title properties (condominiums in the US) where there is a mix of private and communal ownership. It describes the management procedures, the traps for beginners, the levels of power exercised by the corporate body and the council or committee and the agents who may be appointed to manage the property. It provides some clues for survival in the sometimes ruthless battle for power and privilege in the apparently tranquil halls and gardens of the complex. This book is only available in second-hand bookshops. The real Les Darcy who has emerged from their research is an even more charismatic figure than the legend suggests. Truly 'a spirit fearless, merry and innocent'. In Memphis, the eyes of old men glistened with the memory of a lad they had known for only a few weeks before he was gone. This is the story of a young man who conceived the ambition to become a world champion and set up his struggling family for life. His ability was seldom fully extended as he overwhelmed all opposition in Australia. Cursed by the shadow of the Great War, he fell foul of the authorities during the bitterly divisive conscription debate. The wrath of powerful men followed him in the United States. There, with his dream within reach, he met an opponent he could not master. 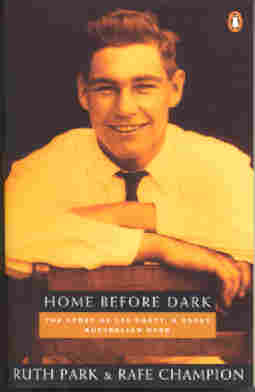 Home Before Dark was published by Penguin in 1995 and is available in paperback from good bookshops. Please get in touch with me if you have any trouble finding a copy. The Fights of Les Darcy. Contemporary accounts of his major fights in Sydney, Brisbane and Melbourne. This is an historical biography of Les Darcy. Who was this man? How did he become one of Australia's most revered sporting icons? Can the real person be found behind the myths and misinformation that have accumulated in the eight decades since he died? I am honoured to be associated with this book which is very much the work of D'Arcy Niland and Ruth Park. 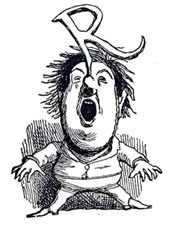 In the 1950s, Niland (named after Darcy) began to interview people who had been close to the young man. The search continued when Niland and Ruth Park retraced Darcy's steps in the United states, from New York to Memphis, where he died in May 1917.